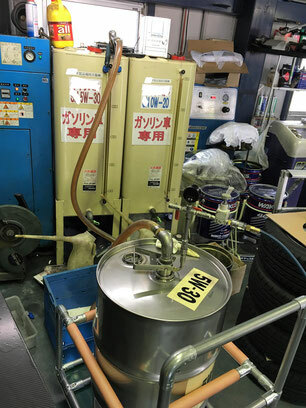 In Japan, we import this valve, assemble it with a stainless drum manufacturer, and sell it as a hyper link drum. 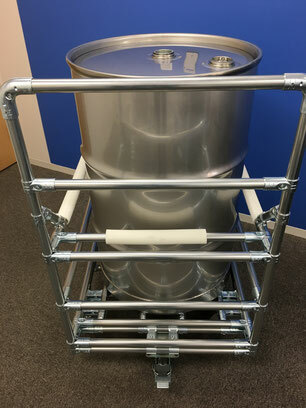 HLD has been mainly used in the chemical industry. 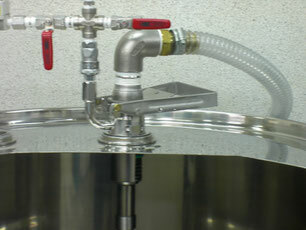 However, for several years, HLD began to be used in the lubricant industry. 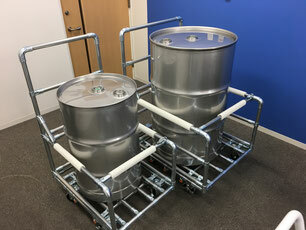 Since HLD is equipped with exclusive cart, it can be handled safely easily. 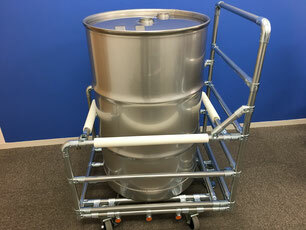 The exclusive cart is equipped with a stopper, and the bar is attached so that the drum does not collapse. 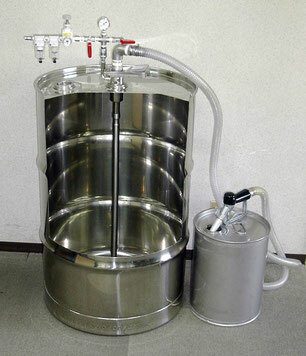 We offer 2 types for 100 L and 200 L.
State of contents according to cut model of HLD. 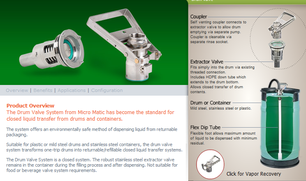 A tube is attached to the HLD valve, so it is not necessary to insert a tube like an electric pump. 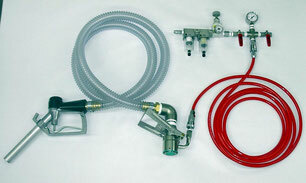 As a way to use HLD, extrude liquid with a small pressure with air, nitrogen or the like, and extract through a tube. 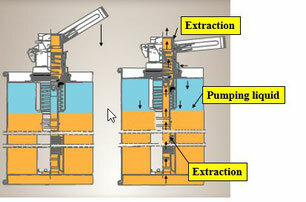 Since HLD's operational time is only half than the electric pump, the work efficiency will be greatly improved.